The best way to get to know a community is by scheduling a tour. See the facilities, meet the staff and residents, and get a feel first hand what it's like to live at Ideal Healthcare Services Home Care. We have a network of qualified In-Home Aides, Companions. Each carefully screened, bonded, insured and has a background check conducted by a private investigative company. We are extremely selective in the companions that we hire. Only the most compassionate positive-minded companions become employees of Ideal Healthcare Services. 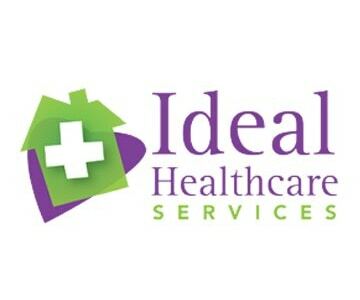 Ideal Healthcare Services is a home care agency centrally located in Raleigh, North Carolina. We cater to seniors and disabled individuals. Our goal is to provide every client with a compatible in-home aide in the comfort of their home or place of residency. Our services include but are not limited to personal care services, transportation assistance, light meal preparation, light housekeeping, laundry and linens, medication reminders, medication management provided by our pharmacy, socialization, friendship and more. Ideal Healthcare Services was recently name one of the Top 50 Entrepreneurs of 2012 by Business Leader Magazine. The company is privately owned and operated and was founded in 2005 by a Registered Nurse. We pride ourselves on our unique customer service and styles of care. Each caregiver is licensed, insured and bonded. Drug screens and background checks are performed prior to employment. All caregivers are employees. We have Worker's Compensation and Professional Liability. Ideal Healthcare Services wants to make sure that you and/or your loves ones are safe. Your satisfaction is our guarantee. Please call us for the Ideal Healthcare Experience.